These muffins are insanely good and yummy and filling and did I mention good? By now you should realize that just about everything I make is easy. Being a busy mom of four boys, working part time as a Nurse, blogging, keeping house, food shopping, homeschooling, laundry, oh the piles of laundry, and chauffeuring them to baseball games keeps me kinda busy. So quick and easy is my style. Let's have a little chat about oil shall we? 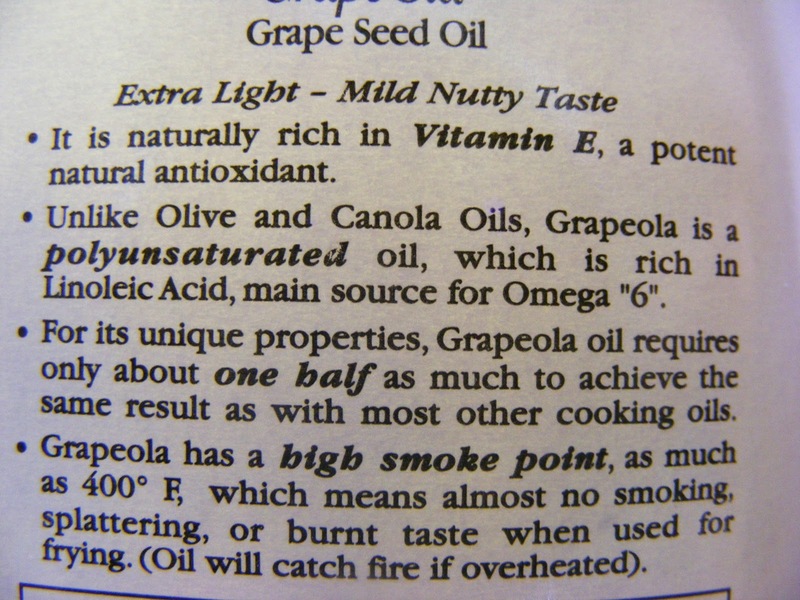 I use grapeseed oil when I bake. 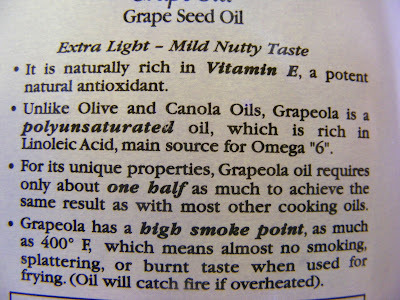 I don't use Canola. I buy my oats in bulk. I try to use all organic grains, as much as possible. Strawberries are becoming less expensive as we get closer to our local season. 1. Preheat oven to 425 degrees (F). 2. In a large bowl, mix dry ingredients. In separate bowl, mix wet ingredients. Add strawberries. 3. 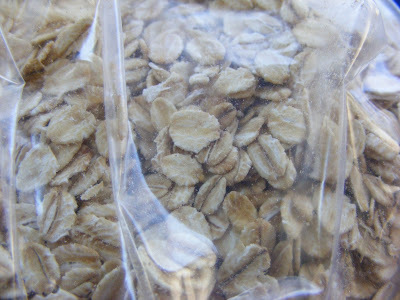 Add wet to dry, folding till just moistened. 4. Spoon into prepared muffin cups or 8" round cake pan. 5. Bake 18-20 minutes till done. 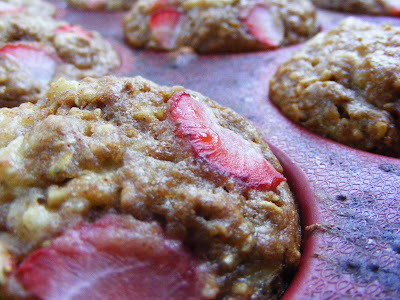 Hint: I like to put a piece of strawberry on top of each muffin before baking and sprinkle the muffins with Ezekiel cereal for extra crunch. 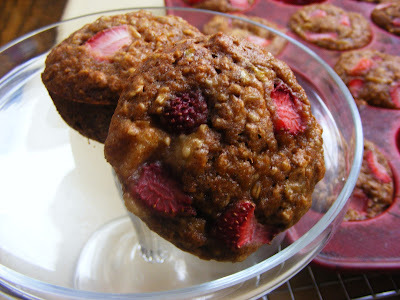 I always double the recipe and make 2 dozen muffins or 2 - 8" round cakes. I'm quickly approaching having to triple my recipes. Oh the joys of having Tweens and Teens! I think I've cleaned my kitchen 4 times already today.